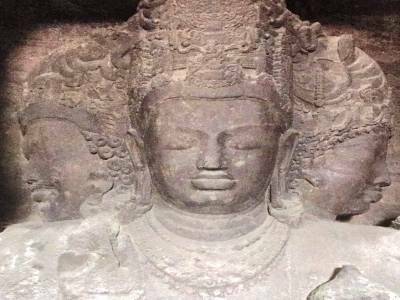 The Elephanta Caves is a collection of caves dedicated to the Hindu god Lord Shiva. They have become a UNESCO World Heritage site since 1987. 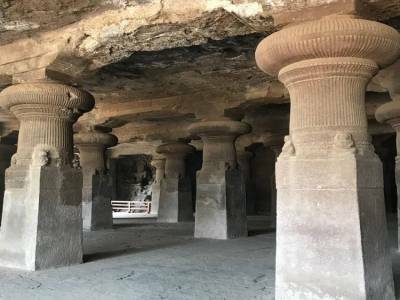 These caves are located on the Elephanta Island also known as Gharapuri which literally translates to “the city of caves” in the Mumbai Harbour, 10 km to the east of Mumbai and 2km west of Jawaharlal Nehru Port. The island also has some Buddhist stupa mounds and Shaivite caves. The Elephanta caves, chopped from heavy basalt rock, depict a wonderful synthesis of Hindu and Buddhist ideas in the rock cut stone sculptures contained in it. Barring a few exceptions, the lion’s share of the artwork has got damaged and defaced. 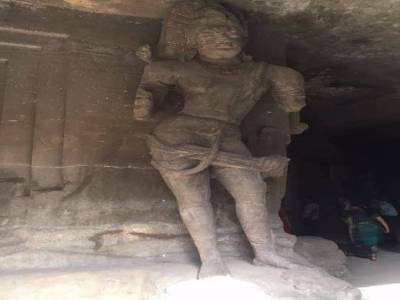 Majority of the scholars opine that these caves were completed by around 550 CE. Although initially named as Elefante, later they were morphed to Elephanta by the colonial Portuguese as they found elephant statues on it. The Great Cave or the Cave 1 as the main cave is called by used to be a Hindu place of worship until the colonial Portuguese reached there and it stopped from being a place of worship. The first initiative or the inaugural attempt to prevent any further damage to the caves was taken by the British India officials in the year 1909. Presently, it is looked after and maintained by the ASI (Archaeological Survey of India). 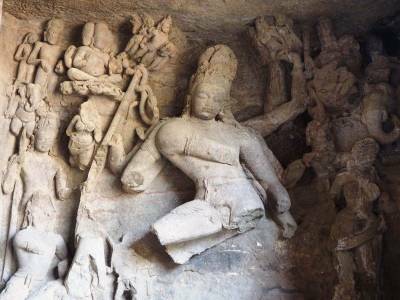 Indian art has found its ideal and some of the finest expressions specifically in the high reliefs of the main cave. 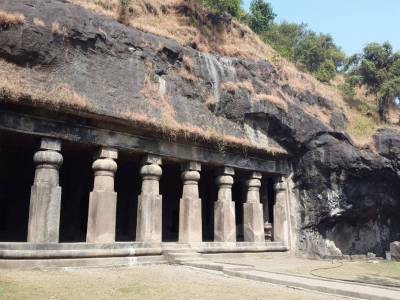 The Elephanta caves, despite losing much of its glory and charm due to defacement and damage, still continues to attract a wide audience of tourists and travellers from both India and foreign lands who come here to witness the great sculptural content of these caves along with the deep history rooted in them. Get quick answers from travelers who visit to Elephanta Caves.